In this qualitative study, informed by ethnography and phenomenology, we aimed to explore the impact of mass trauma on mother–child relationships. Specifically, affected relational processes that might interrupt healthy parenting practices and child behavioral and emotional outcomes were explored. Fifteen Turkish mothers exposed to a massive earthquake in 2011 and relocated to a container city in the Van province, Turkey, were interviewed for this study in 2013. Data analysis was informed by elements of Spradley’s Developmental Research Sequence (DRS) and interpretive phenomenological analysis. Findings indicated that psychological trauma resulting from the earthquake and consequent displacement disrupted and exacerbated mothers’ ability to cope with distress. This, in turn, influenced mothers’ ability to manage their negative emotions and resulted in more yelling, beatings, and higher aggression towards their children as well as a lack of positive emotional and physical engagement. Mothers perceived their own struggles as increasing their children’s disruptive behaviors, such as being less compliant, becoming emotionally distant and modeling mothers’ negative behaviors. The counseling mothers received at the local mental health center supported mothers in building greater physical and emotional connection with their children, regulating their negative emotions and gaining effective parenting skills to discipline their children. The current study represents a preliminary step towards understanding parenting experiences of Turkish mothers in mass trauma contexts. 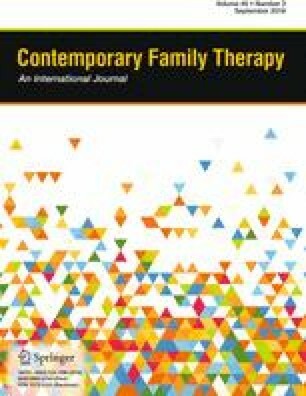 The authors have no conflict of interest pertaining to this submission to the Journal of Contemporary Family Therapy. About Van earthquake. (2012). Retrieved from https://www.afad.gov.tr/ar/9845/About-Van-Earthquake. Turkish Statistical Institute (2015). Istatistiklerle kadin. Retrieved from http://www.tuik.gov.tr/PreHaberBultenleri.do?id=18619.